Unfortunately, winter break is over. Students have to get back in the swing of going to class after a month of sleeping in, staying out late and drinking — only the ones of age, of course. So, what happened in the world of sports over the break? Let’s take a look. Junior quarterback Lamar Jackson has announced he will declare for the 2018 NFL Draft. The decision isn’t a shock by many as he has one of the most electrifying careers one could ask for. Jackson will be joined by fellow juniors cornerback Jaire Alexander and offensive tackle Geron Christian. Alexander announced his decision on Dec. 22 and sat out the bowl game. The Cards were also without senior linebacker James Hearns, who sat out the game to prep for the NFL Draft. On the field, the team came up just short against Mississippi State in the TaxSlayer Bowl. Louisville led 21-17 at halftime, but a 14-point fourth quarter from the Bulldogs gave them the edge they needed. In the 31-27 loss, Jackson totaled 371 yards and three touchdowns, but threw a career-high four interceptions. The Louisville defense couldn’t stop the run, allowing 277 yards and four touchdowns on the ground. Louisville ends the season at 8-5 and is now 1-3 in bowl games during coach Bobby Petrino’s second stint. 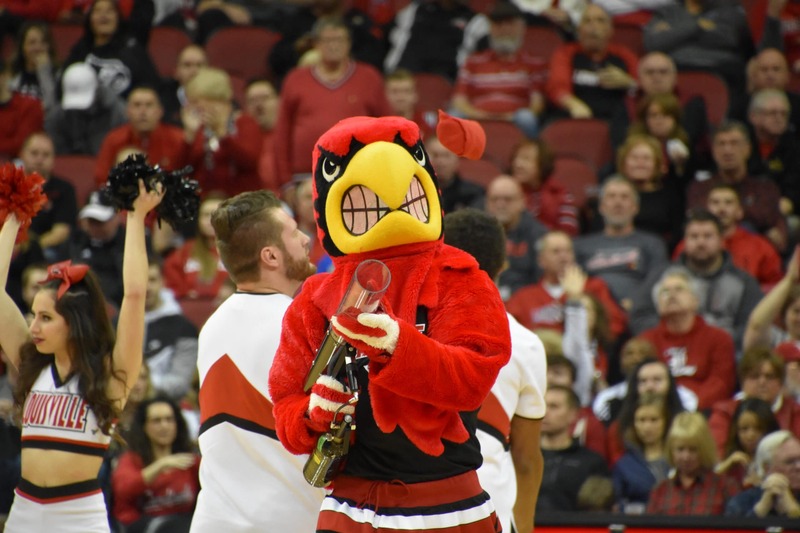 Coach Jeff Walz has the best team on campus and they keep rolling. The nation’s third-ranked team is 18-0 and have the best start in school history. The 18-game wining streak is also a program-high. The Cards won eight games in December and had an average winning piece of 23. U of L recorded one of the biggest wins (54 points) in program history when they defeated Middle Tennessee 80-26 on Dec. 8. Included in their wins last month, the Cardinals defeated rival Kentucky on the road 87-63. In their first victory of 2018, U of L defeated No. 17 Duke 66-60 for their fourth win over a ranked opponent. Louisville’s margin of victory has slimmed since entering ACC play (5.6) but the Cards are tied for first place (3-0) in the league with No. 2 Notre Dame and Virginia. While the women’s team is established and knows their identity, the men’s team is just the opposite. Through the month of December, acting head coach David Padgett’s team went 6-2. The month started with a last-second loss against then-No. 17 Seton Hall at home. Louisville responded with a six-game winning streak, including a pair of wins over Indiana and Memphis. The Cardinals traveled to Lexington to take on rival Kentucky and the No. 16 Wildcats ran U of L out of the building. Winning 90-61, Kentucky recorded one of the biggest wins in the rivalry in 20 years. Louisville bounced back with a 26-point win over Pittsburgh on Jan. 2, but lost an overtime game on the road against No. 25 Clemson.